A professional letterhead design plays an important role in daily business communication. Although it may be a simple sheet of stationery with your company logo and contact information, a professional letterhead design is the cornerstone of building your company’s brand identity. A professional letterhead design will help establish a company as an independent and professional organization. Since the majority of all official correspondence such as invoices, receipts, bills, or verification, use your letterhead, it’s important that you have a professional letterhead design. A professional letterhead design sends the message that you, and your business, are “official” and established enough to meet any customer’s needs. 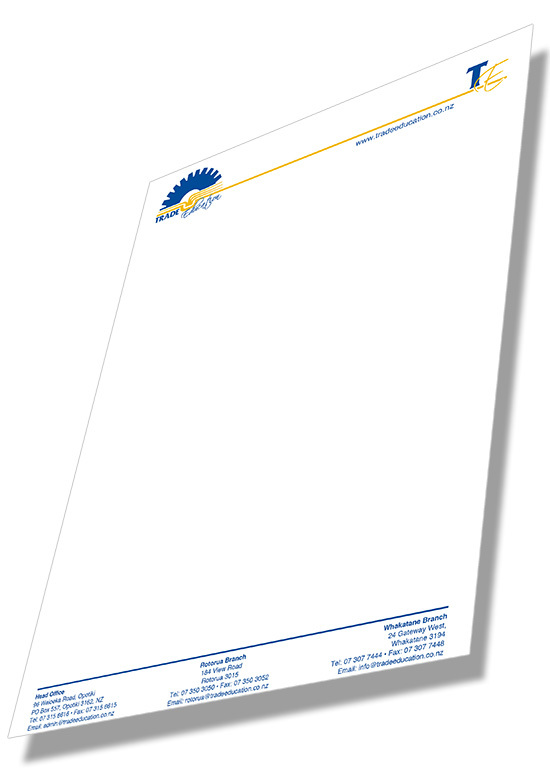 In addition to making your business seem established, a letterhead will also build awareness of your brand. A letterhead design will serve as another way to display a company logo, and will be an important part of any corporate identity. The popularity of full color letterhead design has enabled businesses to use letterhead to highlight their logo design thereby creating both a great design, and a consistent brand identity. It is however, important to keep some general rules in mind when having a letterhead designed. There should always be enough room on your letterhead for writing.